Gustav Ludwig Hertz was a renowned German experimental physicist who won the 1922 Nobel Prize for Physics for the Franck-Hertz experiments on inelastic electron collisions in gases. Gustav Ludwig Hertz’s was born on 22 July 1887 in Hamburg. His father was Gustav Theodor Hertz, a lawyer and his mother was Auguste Arning. His uncle was the Heinrich Hertz, the famous expert on electromagnetic waves. After finishing his schooling at the Johanneum Gymnasium, Gustav enrolled at the University of Gottingen in 1906 to study physics. As was usual for the time, after a year he switched to the Ludwig Maximilian University in Munich. Then he continued his studies at the Humboldt University of Berlin from 1908-11 where he received his doctorate. His thesis was entitled “About the ultra-red absorption spectrum of carbonic acid as a function of pressure and partial pressure”. Initially after obtaining his doctorate, Hertz worked as an assistant at the University of Berlin and in 1913 he began a fruitful working relationship with James Franck. They performed experiments on inelastic electron collisions in gases. Their activities were named “Franck-Hertz experiments” and their work confirmed experimentally the quantum theory proposed by Niels Bohr. They demonstrated that atoms absorb energy in precise amounts (known as quanta). In their experiments they showed that for mercury vapor, an electron must have 4.9 electronvolts in order for that energy to be absorbed by the atom. These experiments later garnered them the 1925 Physics Nobel Prize. Hertz was compelled to take a break from his studies and experiments because he served in the military in 1914 during World War I. In 1915, Hertz received a serious wound injury from the war. Making a slow recovery, he was discharged from the military in 1917 and returned to the University of Berlin becoming a Privatdozent (unpaid teacher). In 1925, Hertz accepted the position of professor of physics and director of the Physics Institute at the University of Halle. Three years later, in 1928, he became director of the Physics Institute at Charlottenburg Technological University in Berlin. Although he was now involved in administrative duties, Hertz devised a technique called “diffusion cascade” to separate isotopes of helium and neon through gaseous diffusion in 1932. This work was to become useful in the race for nuclear energy and the uses of uranium isotopes. When the National Socialists came to power in Germany in 1933 due to new ethnicity laws and being of Jewish decent, Hertz resigned his position in 1934. Hertz became chief physicist with Siemens Corporation in Berlin and he continued his studies with isotope separation. He remained at Siemens until he left for Soviet Russia. With the red Army of the Soviet Union entering Berlin after the Second World War, Hertz accepted a position in Soviet Russia in 1945, becoming the head of Institute G which was involved in nuclear research, producing radioactive isotopes. In 1949, Hertz worked with six other German scientists on a project called Sverdlosk- 44, concerning uranium enrichment for nuclear weapons. Gustav Hertz eventually returned to Germany in 1955 accepting a professorship at the University of Leipzig, teaching experimental physics and he remained there until he retired in 1961. Hertz published a book on the principles and methods of nuclear physics in 1957 and a three volume work of nuclear science from 1958 – 1962. Hertz married Ellen Dihlmann in 1919 and their marriage produced two sons, Johannes Heinrich Hertz and Carl Helmut who both became physicists. His wife died in 1941 and he married Charlotte Jollasse in 1943. 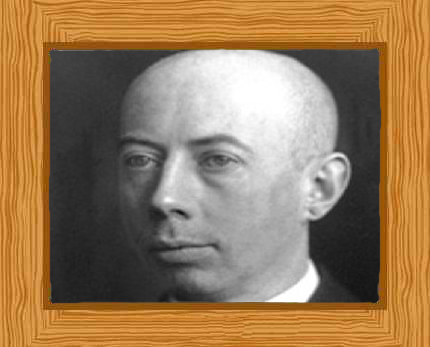 Gustav Hertz died on October 30 1975, aged 88 in Berlin.